Two years ago I cut my hair extremely short. Faced with limited styling options, I wanted to change up my look, but didn't have a clue how. Most hair accessories simply aren't made for women with only an inch of hair, so I really had to flex my creative muscles to change up my look... I randomly tied a scarf as a headband one day, loved the look and I've been hooked ever since. 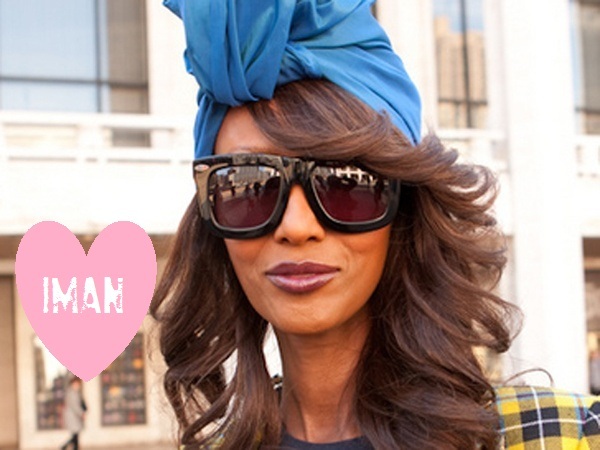 Today I probably own two dozen scarves in all different prints, colors and textures. I have a scarf to go with virtually any outfit! 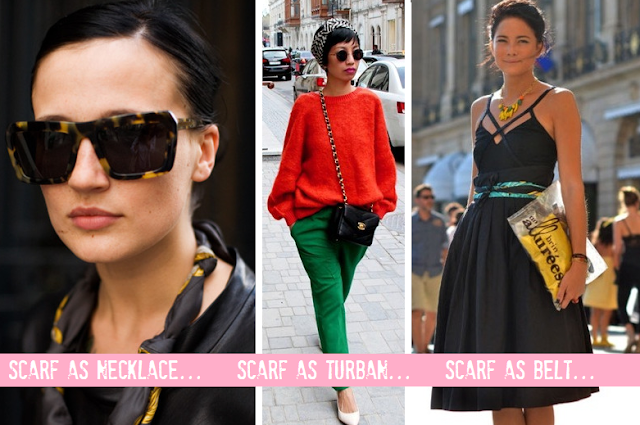 How do you like to wear scarves? Which are your favorite looks from above? Chime-in via the comments section. Fab Fab Fab!!! I'm so jelly about the look. I will have to try!! 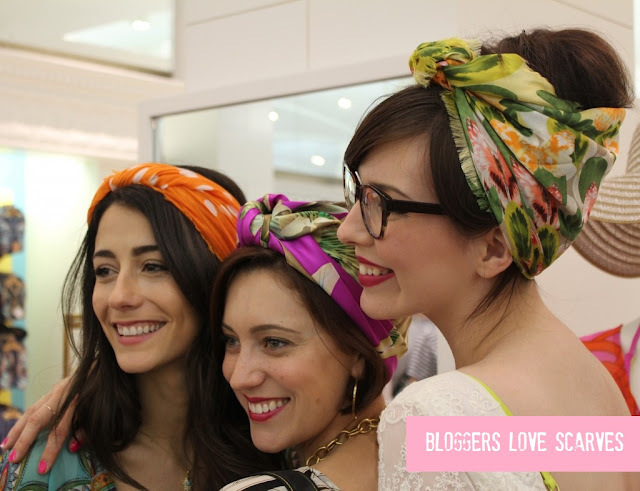 @MsK_NY and @lovelyKristen wore these fabulous looks at the brunch and I was mesmerized! Oooooh I can imagine it looked great! I need to see the pics! My hair is long enough now to keep it up without an army of pins, but I plan more scarf wearing in the future. hi Nettie- just checked it out- very cute both times! great post! 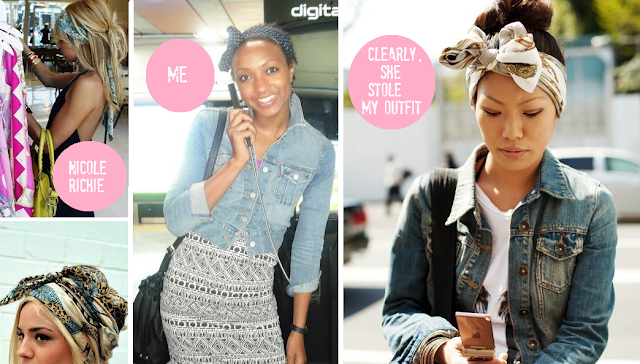 you're right, scarves are really the most budget-friendly way to accessorize. plus, even if you're kind of DIY challenged, if you know how to use scissors, you can make your own. thanks for sharing your favorite looks. Thank you, Gina. I didn't even think of making my own- that's a great tip! AWESOME post! I've been so into head scarves lately, while my fro is in it's awkward stage. Thanks so much! I just got a really bad haircut and I needed ideas to hide my hair. I love your ideas! !